Artist/Author: Stuebing, Robert B., Robert F. Inger and Bjorn Lardner. Borneo has long been famous for its wildlife, primarily its spectacular birds and mammals. The interest in its other vertebrate fauna, including snakes, has surged over the past decade with the increase in dedicated professional and amateur naturalists. The island now is known to have close to 160 snake species, found in habitats ranging from the mountains to the seas. 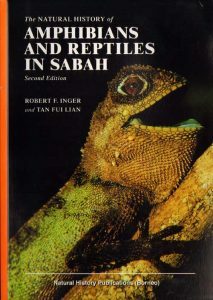 This Second Edition contains now a more complete account of the natural history of Bornean snakes. Identification is made easier with a more expanded set of keys, which also includes the sea snakes. Many new colour plates have been added, several of them showing poorly known species not seen for decades. There are now detailed descriptions for virtually all species known to occur in Borneo, including all the reed snakes (Calamaria spp.) which are notoriously difficult to identify. There has also been an effort to include as many geographical records as possible, especially from Kalimantan. 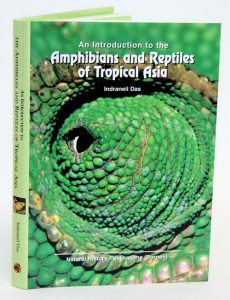 Contributions by many expert photographers and assistance by other herpetologists has greatly enhanced the value of this book as a reference for Bornean snakes. Artist/Author: Stuebing, Robert B. and Robert F. Inger. 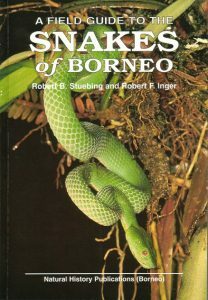 More than 160 species of snakes are found throughout the coastal seas, mangroves, lowlands and mountains of Borneo. 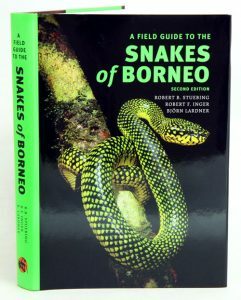 Identification of species is facilitated by a checklist, key and colour photographs of approximately two-thirds of the snake species most likely to be seen. 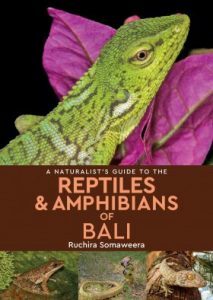 The text of the species accounts covers aspects of size, sclalation, colour pattern and behaviour.